Weight Loss and Your Skin! 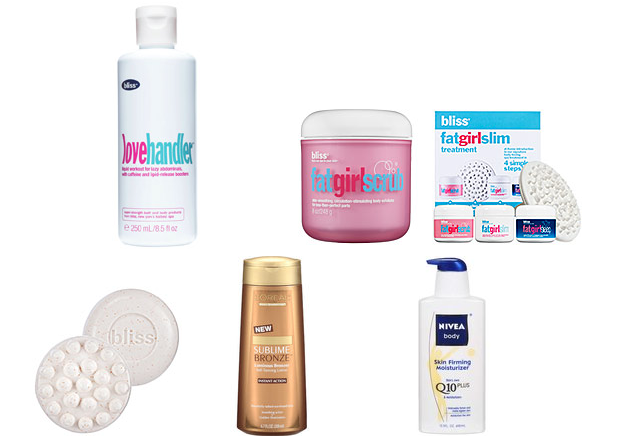 While losing weight, I have started to use products to help my skins elasticity and make that ugly cellulite go away. If you’re one of those lucky and rare people with no cellulite, bless you haha, but for the rest of us, I hope this can help you on your journey! I have tried an array of products and a few have really helped me. I hope they can help you too. Stuff that works for me: I wear a sports bra anytime I’m not wearing a regular bra. It’s a great idea to wear something very supportive while working out as well – especially if you’re crazy like me and enjoy kick boxing. To help improve the elasticity of my skin, I started to use Nivea firming lotion which actually reduces the look of stretch marks while firming your skin. I love this stuff! I tried using Palmers Cocoa Butter, but it doesn’t work the same. You can see a difference almost immediately. I’m sure I’ll use this stuff forever. Its also very affordable which is awesome for those on a budget. A good body exfoliater can work wonders too. Try Bliss fatgirl soap or fatgirlscrub. Bliss also has great cellulite reducing cream called fatgirlslim and fatgirlsleep. Its a great system that works wonders on that pesky cellulite problem. I also tried something called the love handler which is also a Bliss product. The love handler goes all over problem areas like back fat or love handles. While these are a little more expensive, they did help me a ton. They are like little helpers in my quest to get a 6 pack. All of these are available at www.Sephora.com. Another good trick is to get a spray tan. It reduces the look of cellulite and makes you look a lot slimmer. If you can’t afford one, drug stores offer some that are around 8$-12$. Finding a good self tanner in a drug store can be tricky. I’ve tried a bunch of them! A great one I’ve found is L’Oreal Sublime Bronze self tan. It doesn’t make you look orange! You can also pick up some self tanning gloves at ULTA for around 5$ so your hands don’t turn orange. 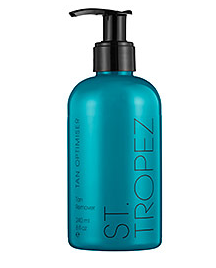 If they do, a great product to use is St.Tropez tan remover for 18$ which is available at Sephora.